You are here: Home / Beauty / Say Good-Bye to Your #ALLERGYFACE: ZYRTEC® Has Teamed Up with Carmen Ordoñez from @VivaFashion for Beauty Tips to Make You Look Great This Allergy Season! Note: This post is part of a sponsored campaign on behalf of Latina Bloggers Connect and the makers of ZYRTEC®. All thoughts and opinions are my own and have not been influenced in any way. Please refer to Whispered Inspirations disclosure page. Say Good-Bye to Your #ALLERGYFACE. I have always suffered from allergies, I get the incessant sneezing, the red eyes, the nose reminscent to Rudolph, swollen eyes and so much more. Apart from feeling absolutely dreadful, I don’t exactly feel like I look like a million bucks either. It doesn’t help that I live in Ontario (which is far south and right across from Detroit) where surveys report that we have the highest rates of seasonal sufferings. According to a recent survey by the makers of ZYRTEC®, two-thirds (66 percent) of women with allergies have felt ugly or unattractive because of their ALLERGY FACE™. The makers of ZYRTEC® have partnered with beauty and fashion expert, Carmen Ordoñez from VivaFashionBlog.com, to help women combat “ALLERGY FACE™” –the beauty challenges like a puffy face, watery eyes and a red nose that are associated with typical allergy symptoms. My parents, especially my Dad, suffers from allergies as well and he has always liked to use natural and holistic ways to treat his symptoms. So, naturally, he passed them down to me so that I can make my symptoms better but, my Mom taught me how to minimize the look of allergies and the beauty tips that will help me achieve it. Drink lots of water, it works wonders for the skin. Do chill compresses, it helps reduce puffiness. Wear a pair of fabulous shades, while you are out and about, you can avoid more pollen and other allergens in the air. Concealer and blush are your friends. Carmen has quite a few tips, starting with how to Avoid Irritating a Red Nose. To minimzie the redness, use baby wipes instead of tissues, which are gentler on the skin. Visit YouTube.com/Zyrtec to view part one and part two of Carmen’s ALLERGY FACE™ video series. Stay tuned for the release of part three, which will be distributed later this summer. In the meantime, be sure to follow Carmen on Twitter at @VivaFashion and check out her blog www.VivaFashionBlog.com for her latest ALLERGY FACE™ tips and tricks. I think these are amazing tips and definitely will help you say good-bye to your #ALLERGYFACE, no one likes feeling sick but, looking sick makes it that much more unpleasant. Do you suffer from allergies, if so, what tips and tricks do you use to fight “allergy face”? I don't suffer from allergies that way. I get hives. It's awful. Fortunately, I don't have bad allergies, however, my husband does. He has spent his entire life trying to find a tired and tested product and it really makes him miserable. He's never tried watermelon juice (interesting, I didn't know) or Zyrtec. He will definitely be trying some of the ideas you suggested. Thanks for sharing. I've never had allergies, but my neighbour gets them really bad (especially this year). I'll have to tell her about this! Thanks for sharing. Oh my goodness. I think I love you. This is EXACTLY what I needed. I have been wearing sunnies to hide the allergy face all season. Woohoo! Thanks for the awesome tips! 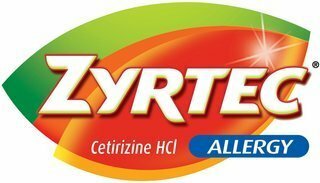 My Korean student always had Zyrtec because he has super bad allergies. It was the only thing that worked for him. My daughter gets allergies bad with tell her about this post !